Screening programs for congenital disorders of amino acid metabolism were started at the beginning of the 1960s in the United States, Canada, and Europe, particularly for PKU. The term “hyperphenylalaninemia” was not yet conceived. Today we know different variants of this disorder, but they still present some problems of classification. The screening programs spread over all the continents. 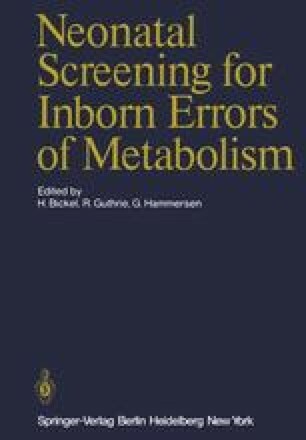 New fields for screening were opened, such as carbohydrate disorders, particularly galactosemia. Recently, screening for thyroid diseases was started in many programs. Several other disorders have been covered by screening programs, some of which, however, were short-lived and abandoned.